From the courts to the trails, the pool to the rink, Pacific Ridge's Upper School student-athletes have been training hard in preparation for fall competition. Girls Tennis served up a new season with a Tuesday night match against Ramona High School. Girls Volleyball will dig into its season with games at Temecula Valley High School on September 7th. Coed Cross Country will take off from the starting line at the Bronco Invitational on September 10th, Boys Water Polo dives into competition with a match against High Tech High on September 2nd. 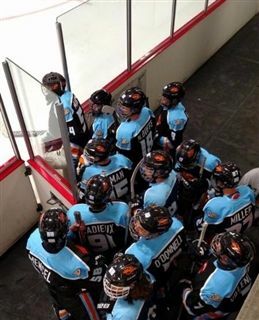 The Firebird Boys Hockey Club, in its inaugural year as a Pacific Ridge-sponsored sport, saw its JV team defeat the Corona-Norco Stringrays on August 27th to mark a 1-0 start to the season. The varsity team skates into competition on September 10th with a game against Beckman High School in Anaheim. Check this section of the View From the Ridge weekly for scores and highlights. Go Firebirds!